The EOS R features a high-resolution 30.3MP full-frame CMOS sensor along with a DIGIC 8 image processor. The combination of these technologies offers a wide sensitivity range up to a native ISO 40000, fast continuous shooting to 8 fps, and UHD 4K30 video recording. In addition to imaging, the sensor also facilitates an advanced Dual Pixel CMOS AF system, which uses 5655 selectable points for quickly and accurately acquiring focus. This focusing system is also sensitive down to EV -6 for working in impressively dark conditions. it is the first camera to support Canon's line of RF-mount lenses. This mount is characterized by its wide 54mm diameter and short 20mm flange-back distance, which promotes the ability to design lenses that are both faster and smaller than their SLR equivalents. The mount also incorporates a 12-pin electronic contact system for more sophisticated autofocus and image stabilization capabilities. This mount design also lends full compatibility to existing EF and EF-S-mount lenses via an optional EF-EOS R Mount Adapter. 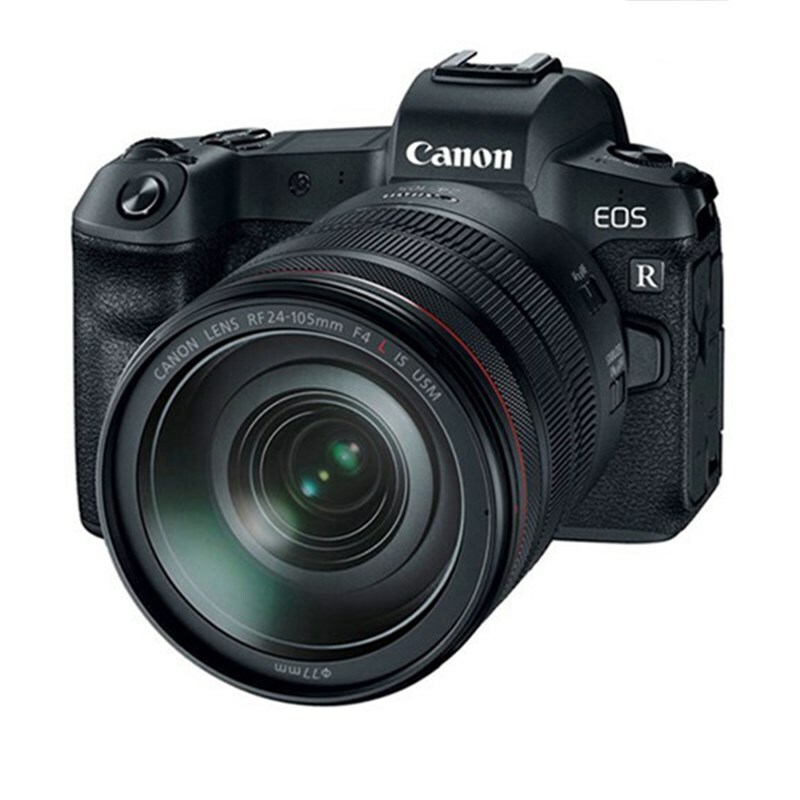 Designed for multimedia image-maker, the EOS R supports UHD 4K (3840 x 2160) resolution recording at up to 30 fps at 480 Mb/s, along with Full HD 1080p shooting at 60 fps and HD 720p at 120 fps for slow motion playback. When recording in-camera, 4K video has 4:2:2 sampling and 8-bit color depth, a 4:2:2 10-bit clean output in ITU-R CT.2020 is possible when using an external recorder.